Workshop in Bologna: Can a Smart city engineer its ecosystem? 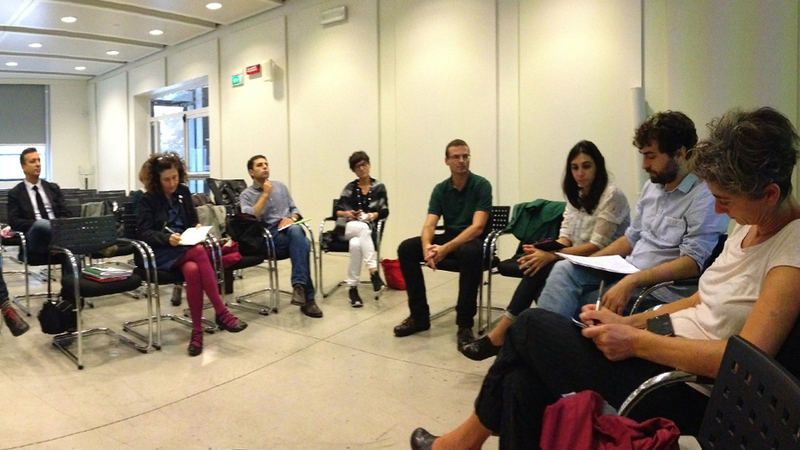 Last 14th of October took place in the Bolognese Conference Room of MAMbo, the Modern and Contemporary Art Museum of Bologna, the workshop “Can a Smart city engineer its ecosystem? Practices and new challenges in engagement and participation among iCity partners”. About 20 attendees were present, mainly belonging to Bologna Municipality (Culture, IT, International Relations, and Communication Departments) and Bologna University and Emilia-Romagna Region. This round table was a moment to think about the challenges of citizen engagement and participation in process of building an urban ecosystem, inspired by iCity Project by the experts attending the workshop. During the first part, there were introductory partner interventions and project manager of the Scientific Committee of the Strategic Plan for Metropolitan City. The second part was moderated by Gaspar Caliri and consisted in a discussion and an attempt to answer the title question: Can a Smart city engineer its ecosystem? Ramon Ribera-Fumaz, from Universitat Oberta de Catalunya, partner of iCity Project, explained the concept of ecosystem and models of development with iCity Project as a reference. Leda Guidi, from the Comune di Bologna, and also partner from iCity Project, talked about the participatory and collaborative platform Iperbole 2020. For its part, Valentina Bazzarin, research fellow from the Political and Social Sciences Department of the University of Bologna, focused on how social media and communities can contribute in building and leading a urban ecosystem. And finally, Daniele Donati, President of the Scientific Community for the Strategic Metropolitan Plan of Bologna illustrated which are the challenges and opportunities of the metropolitan cities.